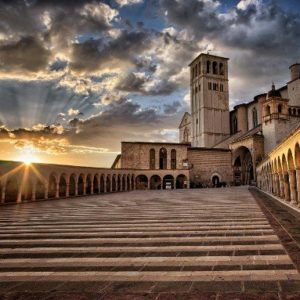 FROM THE ASSISI'S SPIRITUALITY TO THE MODERN PERUGIA, FROM THE GUBBIO'S ART CITY TO THE FASCINATING MARMORE WATERFALLS. 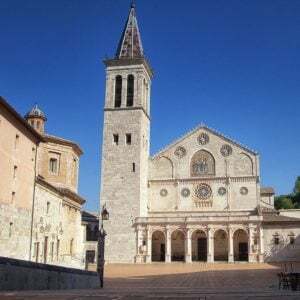 Departure from the agreed place by GT bus to Assisi, visit to the Basilica and to the Franciscan places. Packed lunch is charged by the participants. In the afternoon visit to the Basilica of Santa Maria degli Angeli, which houses the chapels of the Porziuncola, the Transito, the Roseto and other places made sacred by the memory of St. Francis. 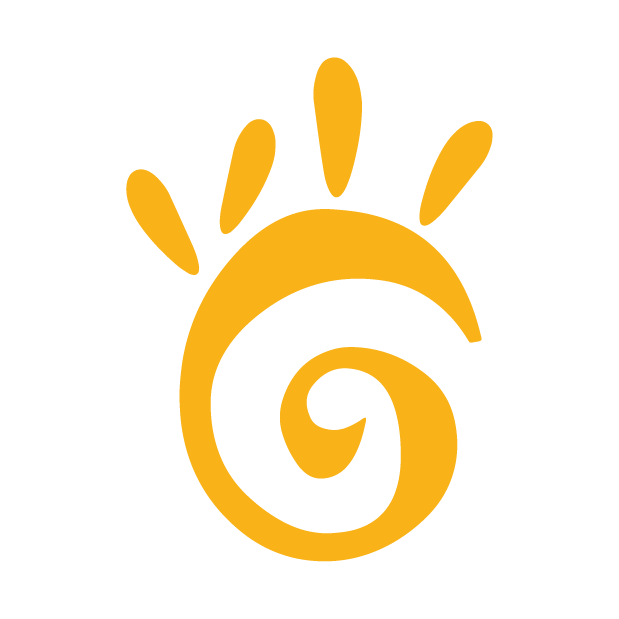 In the evening, hotel accommodation in reserved rooms, dinner and overnight stay. Breakfast at hotel and departure for Perugia, a famous art city. In the morning visit to the historical center starting from the Fontana Maggiore, one of the main monuments of the city and of all the medieval sculpture. Continuation of the visit with: the Etruscan Arch, the largest and the most monumental of the access gates to the old city; the Rocca Paolina, symbol of papal power over the ancient municipality; the National Archaeological Museum of Umbria which preserves numerous pieces of great value. Lunch. In the afternoon excursion to Gubbio and visit of the city: the Duomo; the scenic Piazza Grande which also houses the Palazzo dei Consoli, a symbol of the city; the Palazzo Ducale, erected in the second part of the 15th century by the will of the Duke Federico di Montefeltro; the House of St. Ubaldo, patron of Gubbio. Outside the ancient walls is situated the Roman Theater, dating back to the first century B.C. and restored between the nineteenth and twentieth centuries. In the evening, return to the hotel, dinner and overnight stay. 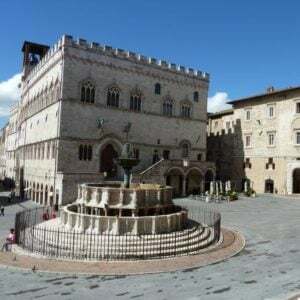 Breakfast at hotel, and then transfer to Città della Pieve to visit the rich historical center: the Palazzo della Corgna, located near the church of Santi Gervasio and Protasio and the Torre del Pubblico. Lunch. 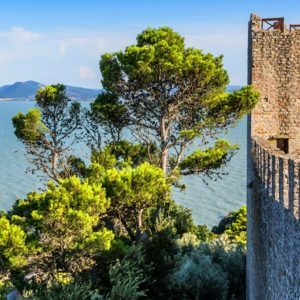 In the afternoon visit to Lake Trasimeno among which the renowned Castiglione del Lago stands out, a town that stands on a calcareous spur. In the evening, return to the hotel, dinner and overnight stay. Breakfast at hotel, release of the rooms and departure for Spoleto. Visit to the cathedral of Santa Maria Assunta which is also the cathedral of the city. Possible visit to the Rocca Albornoziana, an ancient fortress located on the top of the Sant'Elia hill which overlooking the city of Spoleto. Lunch. In the afternoon visit to the Marmore waterfalls, one of the highest in Europe, counting on a total difference in level of 165 m, divided into three jumps. The day will continue with a visit to Terni, renowned for steel mills and arms factories. In the late afternoon departure for the return home with arrival in the evening.